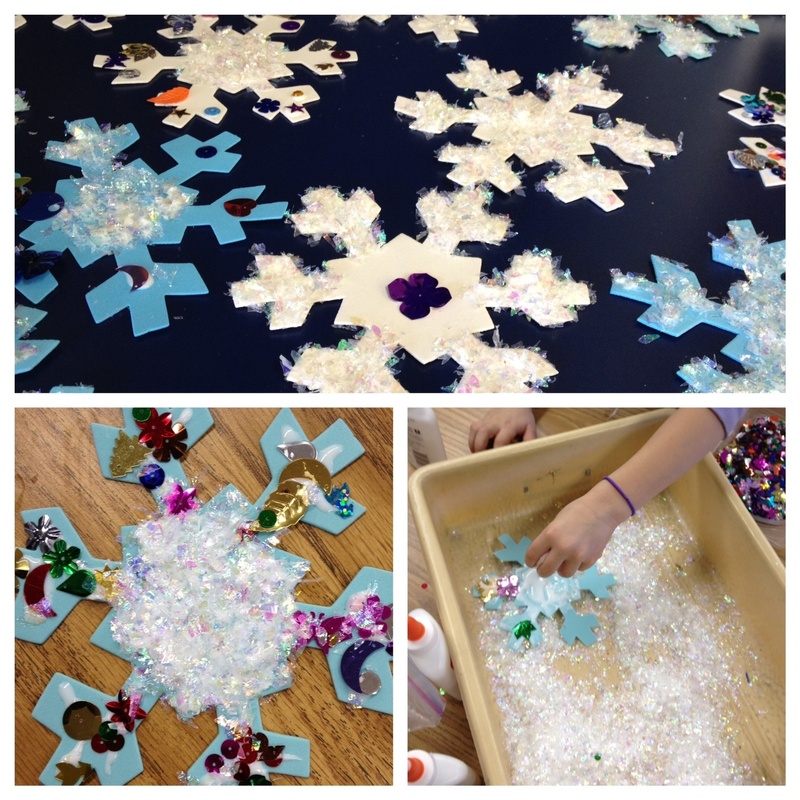 I bought some foam snowflakes at Michael's and I had the kids use glue, sequins, and fake snow to decorate them. I let them go wild with their creativity. I had three students at a time come back to a table and decorate their snowflakes. 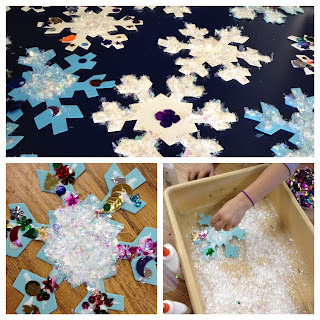 Step 1: Squeeze glue onto the snowflake and then smear around with a q-tip. Step 2: Decorate with sequins and/or fake snow. Step 3: Let them dry! After the snowflakes dried, we wrote sentences about our decorations. Our sight word this week is "have" so I encouraged them to use that word and describing words too! I recently found your blog and am now a follower! I would LOVE for you to come visit me and grab lOTS of *freebies*!